SAN ANTONIO, TX (October 4, 2015) Early detection of cancer prolongs life. Each of us at bioAffinity Technologies has seen this firsthand. Our brothers, sisters, parents, friends and patients, and many of us personally, have benefited from early cancer detection. SAN ANTONIO, TX (September 30, 2015) bioAffinity Technologies, a privately held cancer diagnostics company, today announced the renewal of its research collaboration with The University of Texas Health Science Center at San Antonio. SAN ANTONIO, TX (September 23, 2015) bioAffinity Technologies, a privately held cancer diagnostics company, today announced that results from a 128-patient proof-of-concept clinical study for its non-invasive and quantitative assay for early-stage lung cancer were published in the Journal of Thoracic Oncology. 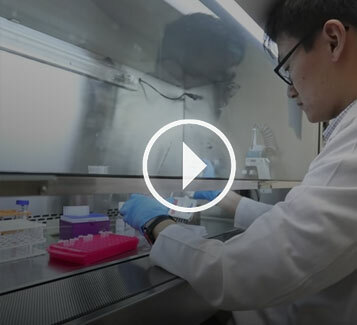 bioAffinity Technologies is proud to play a part in the University of Texas Health video highlighting our impressive research collaboration to uncover the mechanisms of cancer. The collaboration with the University of Texas, a leader in innovation, has led to exciting advancements that further the development and commercialization of our life-saving tests and treatments for cancer. In this video, you’ll see physicians, scientists, and bioAffinity Technologies CEO Maria Zannes discuss how medical breakthroughs are being commercialized and made available to those who need them, including more about how we’re moving forward with our CyPath® diagnostic tests and OncoSelect® therapeutics.